Marcus Sherels became a Vikings fan favorite for a number of reasons after arriving with the team in 2010. He was “one of us,” hailing from Rochester and playing for the Gophers. That last part underscored why Sherels, seemingly on the roster bubble season after season, last as long as he did with the Vikings — performing as their primary punt returner, a punt gunner and lightly used cornerback. He handled 473 total kicks, most of them punts and including fair catches, from 2011-18 with the Vikings. He ranked in the top 10 in the NFL in punt return yard average in five of the last six seasons and is third on the NFL’s active list for total punt return yards (not to mention No. 26 all time). That’s not to say the Vikings can’t fill Sherels’ shoes. It is to say it will be difficult and that letting him go might have been a sneaky but large mistake. Why? *Mike Zimmer values field position: By virtue of their stout defense, the Vikings tend to force a lot of punts. They were No. 10 in punts forced in 2018 and No. 5 in 2017, meaning there are generally a lot of opportunities for their punt returners. The average NFL team returned 28.4 punts in 2018, and the average length of return was 8.5 yards. Sherels in the last six season has averaged 11.3 yards per return. So let’s say Sherels is worth about 80 yards per season more than the average punt returner — five yards per game over the course of a 16-game season. That might not sound like a lot, but if they come at the right time they can make a huge difference. Not only that, but Sherels was adept at running up to grab line drives that otherwise might have rolled and had a good feel for when to fair catch and when not to fair catch. It’s safe to say he was worth more than 80 yards a year when taking those subtle skills into account. The Saints, by the way, averaged a dismal 6.5 yards on punt returns last season, No. 24 in the NFL. Sherels will be a major upgrade. *Sherels was a game-breaker. 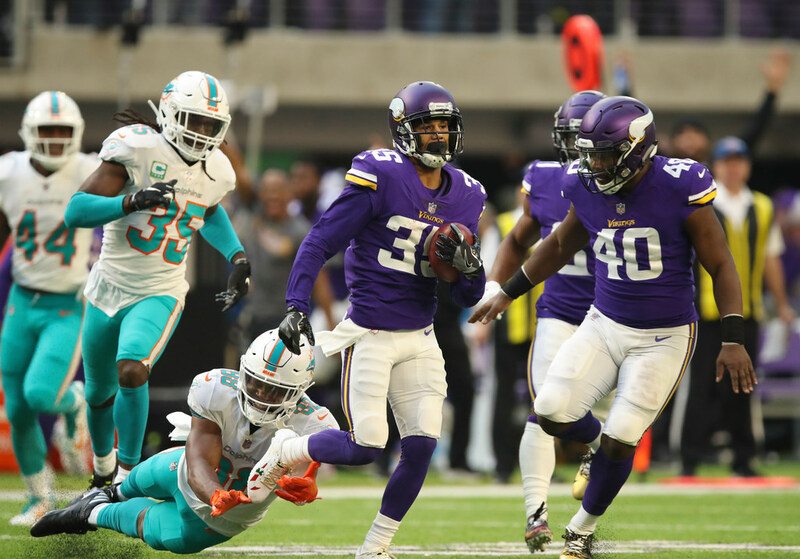 Though he wasn’t flashy and didn’t look particularly dangerous, Sherels has five career punt returns for touchdowns — second among active NFL players and No. 14 all-time. He didn’t take one to the end zone last season in an injury-marred year when he only played 12 games, but Sherels did bust out a 70-yard return that changed momentum in a victory against the Dolphins. *Sure hands shouldn’t be taken for granted. Sherels was dangerous as a return man, but he was pretty careful with the ball. The Packers led the league with a whopping eight punt return fumbles last season and were Exhibit A of what can go wrong without a dedicated and sure-handed return man. They had five different players fumble at least one punt and lost three total, including Tramon Williams’ lost fumble in their 24-17 loss to the Vikings. Guess who recovered that fumble for the Vikings? Among those mentioned as in-house candidates to replace Sherels are running back Ameer Abdullah, cornerback Holton Hill and receiver Brandon Zylstra. Those three players have combined for SIX punt returns in their NFL careers — four by Zylstra and two by Hill last season when Sherels was injured, for a combined 6.5 yards per return. They didn’t fumble, at least. In 2016, when Sherels missed time, Adam Thielen had a key fumble on a punt return against Dallas in a Vikings loss. Maybe one of those in-house guys — or someone else the Vikings draft or acquire between now and September — will do a great job next season and the Vikings won’t miss a beat. But maybe the Vikings will miss Sherels just as much as it sounds like their fans will miss him. Revenge served late? Could Wild beat out Dallas for last playoff spot?